I think I’m officially an adult. And I know as a citizen of this great nation I officially became an adult at 18 and then again at 21… but really I don’t think there’s anything adult about drinking until everything spins. But hosting your first dinner party? That’s a full on admission that you would rather sit around with friends and large amounts of sweets/wine instead of heading to the bars until 4am. And it takes a REAL adult to admit that. 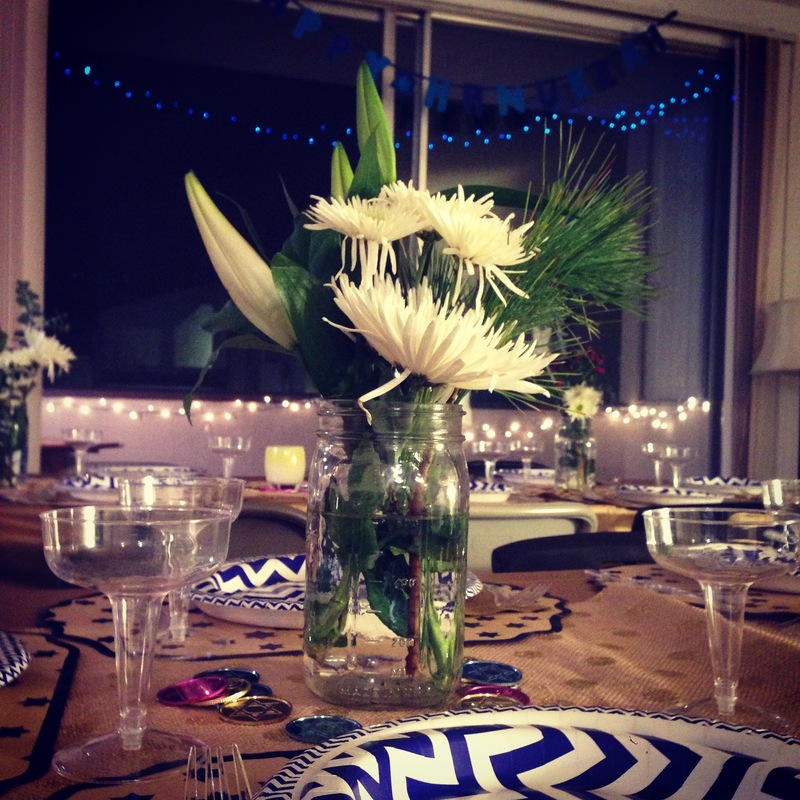 So last week I hosted my very first dinner party. 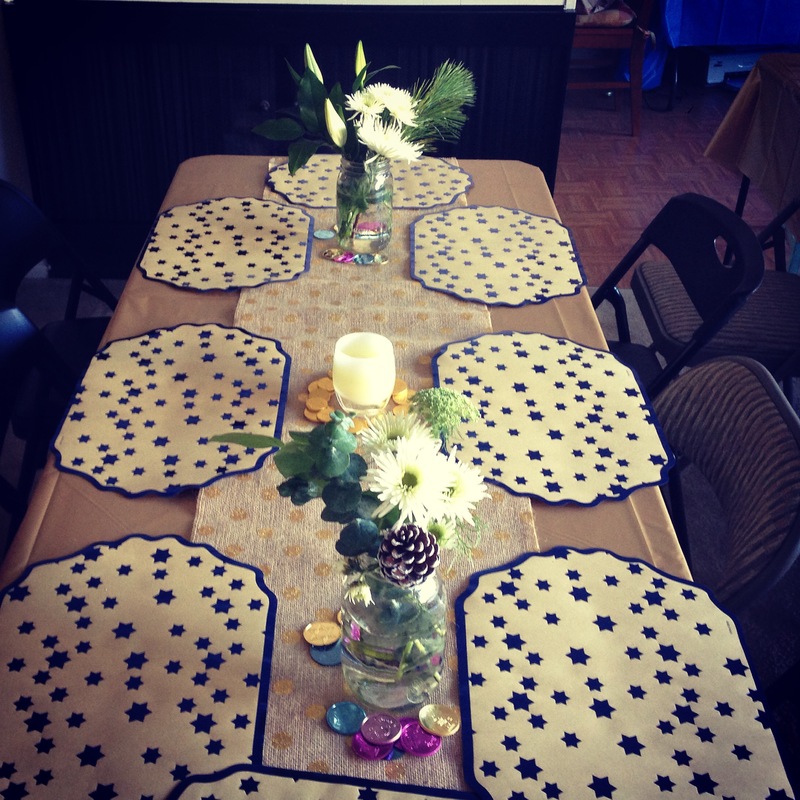 Complete with decor and a pre-set table and things I baked and cooked. And it took pre-planning and pre-ordering and many trips to the grocery store (and of course pre-looking up the number of the closest pizza place should my food be a total disaster). Soo I’m pretty sure this means I’m supposed to be like discussing stock options and how Taylor Swift is SO terrible but um, stock options are boring and Taylor Swift writes catchy pop songs that I adore dancing around my apartment/blasting in my car/singing in my shower to. I know- so very adult of me. I had a lot of fun planning the table decor and here’s the truth: Hosting a dinner party might be very adult but on most days, I’m still stuck in 1998 at heart. So I wasn’t about to get all legit fancy up in this thing. While I orginally intended to be fancy and grown up with REAL plates and a lot of things i made myself, I realized, you’ve got to be true to yourself even when you’re throwing a “grown up” dinner party and I’m just simply not that grown up. Also, I would rather pay a little extra to have something cute that someone else spent making than attempt it myself and have it look like a 8 year olds art project. Not to mention, I wanted something that was easy clean up but still looked cute cause cleaning up, is not my kind of fun. 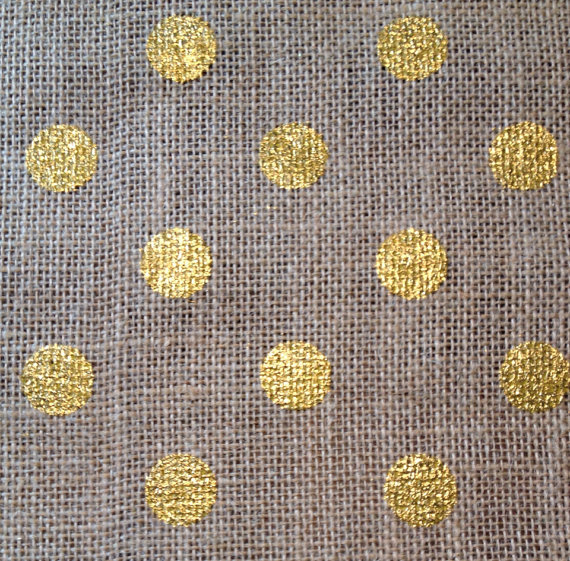 1) I got disposable plastic gold tablecloths from Target and then spruced them up with these uh-dorable burlap gold polka dotted table runners from Tea & Sugar on Etsy. — As an aside- have you all seen this Mench on a Bench thing? I resisted buying but am seriously regretting that life choice. 3. I used mason jars as my vases and these candle holders that I’ve had since my Oprah Show days to break up the flowers. 4. 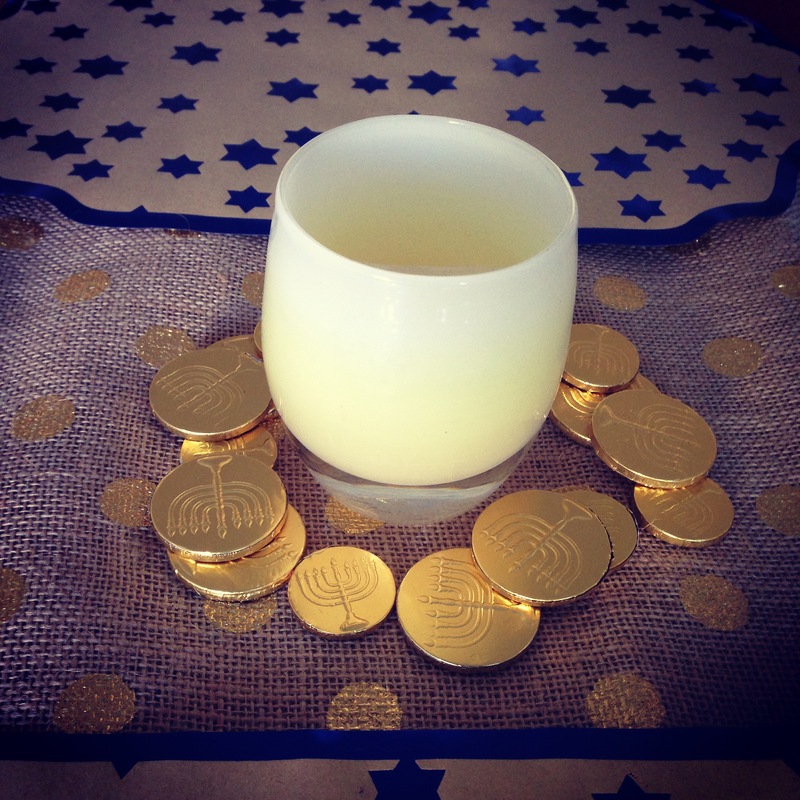 Then I added some Hanukkah gelt and plastic Hanukkah coins (from Oriental Trading) as accents. 4. 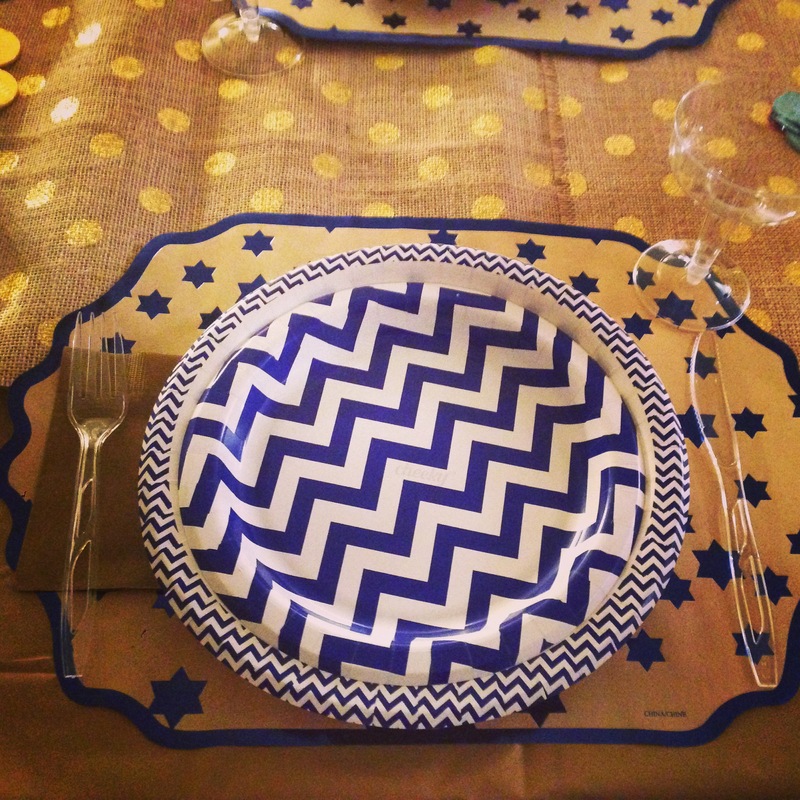 I set the table with these cute chevron plates from Cheeky (available at Target) (and with every Cheeky item you buy, they donate a meal to someone in need, right here in the US!) and yes, I used plastic silverware. This whole table-scape meant easy cleanup which means one very happy me. 5. And then I (okay okay, The Boy did it!) strung some lights outside and hung up a Happy Hanukkah sign (all also from Target) and the dinner table set up was complete! Bring on the guests! and the food! While I don’t love the look of plastic silverware, I do think for this type of dinner it worked! And the fun plates from Cheeky paired with the patterned runner and place mats really helped add some fun textures/layers to the table! I had a lot of fun creating this look and it’s inspired me to want to host more dinner parties! 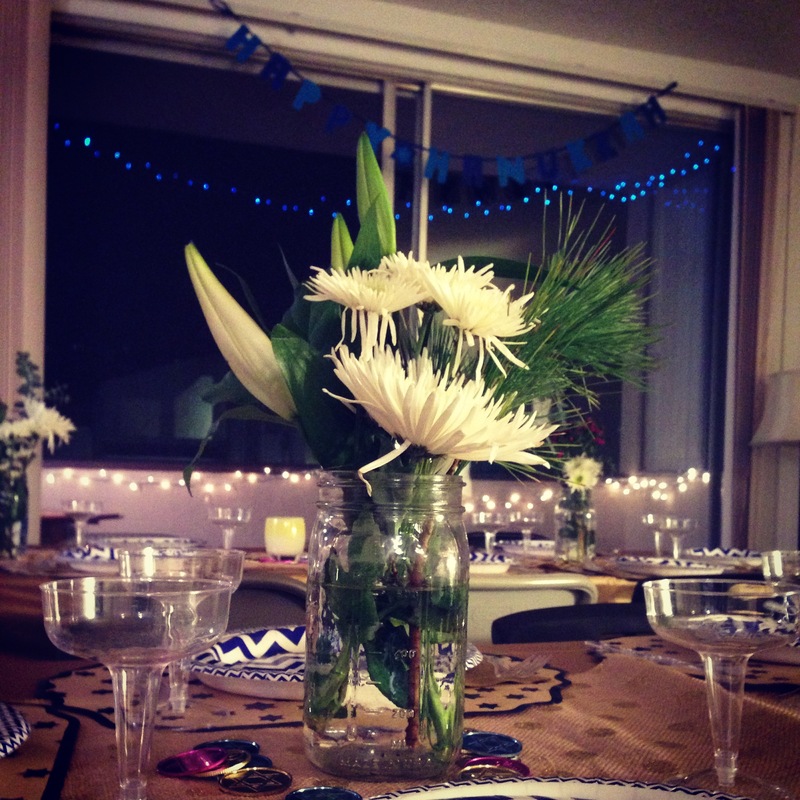 More to come on my very first dinner party! If I can do it, really and truly ANYONE can! Friday Finds: Fitness Fun & Football Food! | Been There, Tried It.